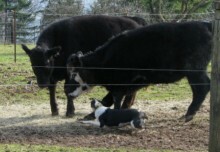 We consider a started dog one that has begun his or her training on actual cattle! 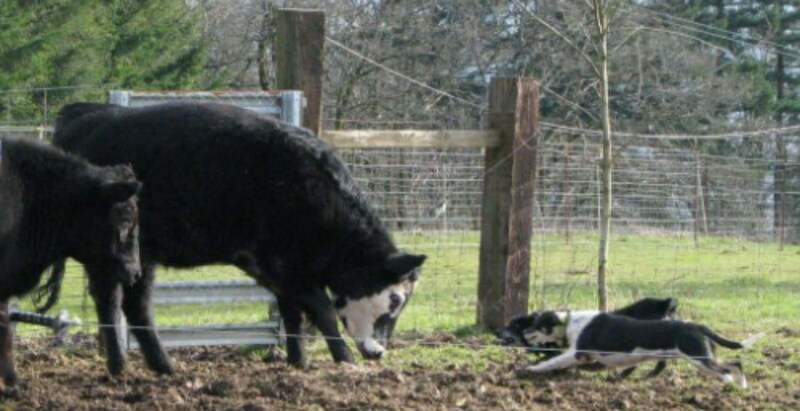 A started dog knows basic obedience and is well socialized, is becoming familiar with the universal cowdog commands and has been introduced to cattle in a controlled environment and out in the field. These dogs are not finished dogs but they are well on their way to becoming super working dogs with a little more time, effort and experience. We rarely keep these kinds of dogs for long as they are quickly bought up. Keep checking this page for the occasional started dog we’ll post for sale. If you are interested in acquiring a started dog, contact us about purchasing a pup or older pup and having us start it for you. 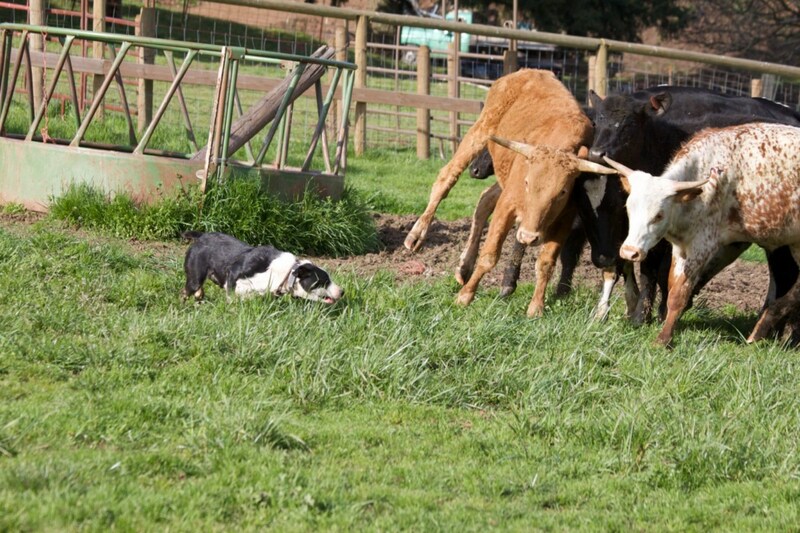 Or better yet, bring your pup and yourself to our farm for regular Obedience & Cow Dog Lessons – this way you both become seasoned experts together! Follow us on Facebook to keep up with all our Cowdog activities! 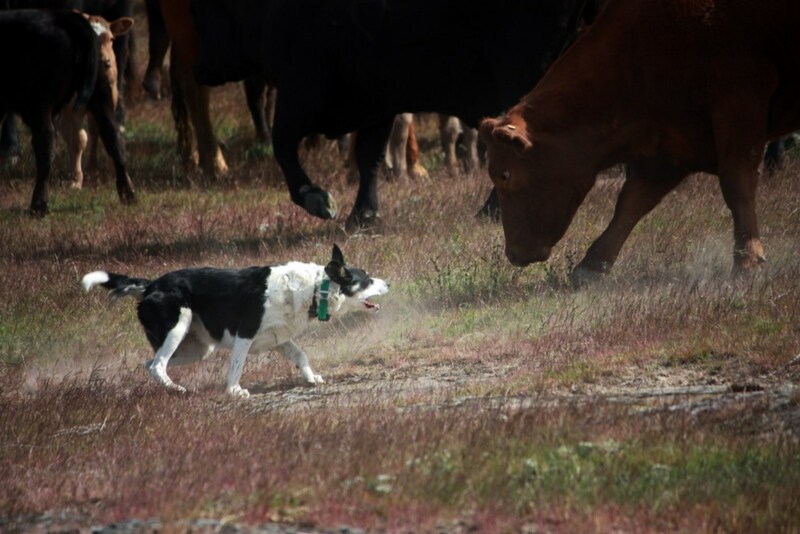 Be sure to sign up for our newsletter and get first dibs on pups, clinic registration & the latest news from Pierce’s Cowdogs. Or CONTACT US with any questions.